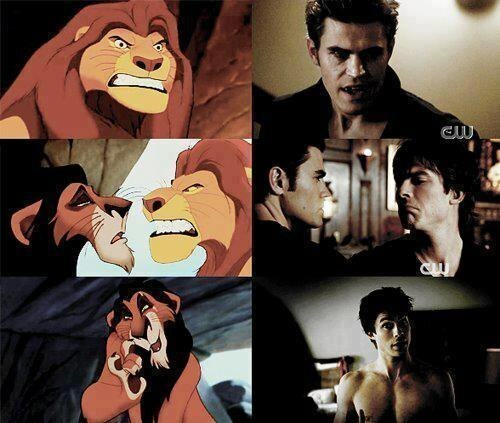 Lion King. . Wallpaper and background images in the Damon and Stefan Salvatore club tagged: the vampire diaries stefan salvatore damon salvatore lion king. This Damon and Stefan Salvatore fan art contains anime, comic book, manga, and cartoon. ha-cute! that's great! the likeness is uncanny!